Our law firm h. d. steichele Rechtsanwälte can look back on many decades of traditions and today is one of the oldest law firms of Munich. Strong legal personalities have shaped our style and way of working that is determined first of all by the trusting cooperation of client and lawyer. Although our firm's outer appearance has changed over the years due to social, economic and technical developments and their requirements on legal services, we still feel bound by the above-quoted guiding principle of our founder Dr. Hans Steichele (1966). On the basis of the experience gathered in the firm over the decades, h.d. 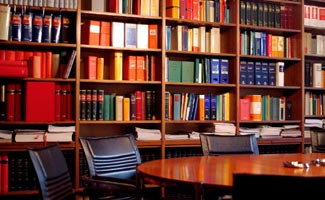 steichele offers well-founded legal advice and represents its clients comprehensively in disputes in and out of court as well as in arbitration proceedings. And finally, precision and reliability form maxims of our activities; any tasks we are entrusted with are completed within the periods scheduled. It is our aim to achieve your objectives with your trust and in an appropriate legal and economic manner.